Monday night some friends and I spontaneously ate a 9:30 dinner at FIG (where I work). We tried every appetizer and dessert on the menu and made our way through multiple orders of sautéed soft-shell crabs. It was divine. 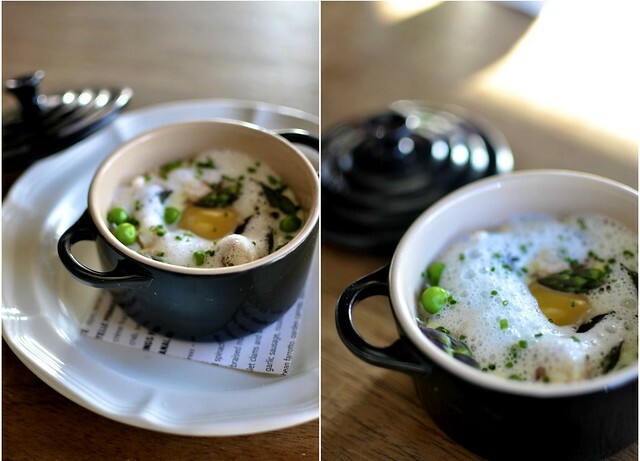 One of the standouts of our meal was Chef Lata's Coddled Sea Island Farm Egg. Another Charleston Chef called it his favorite dish in the city and one of my photos even made it into GQ (number six on the map). I totally see what all the fuss is about.